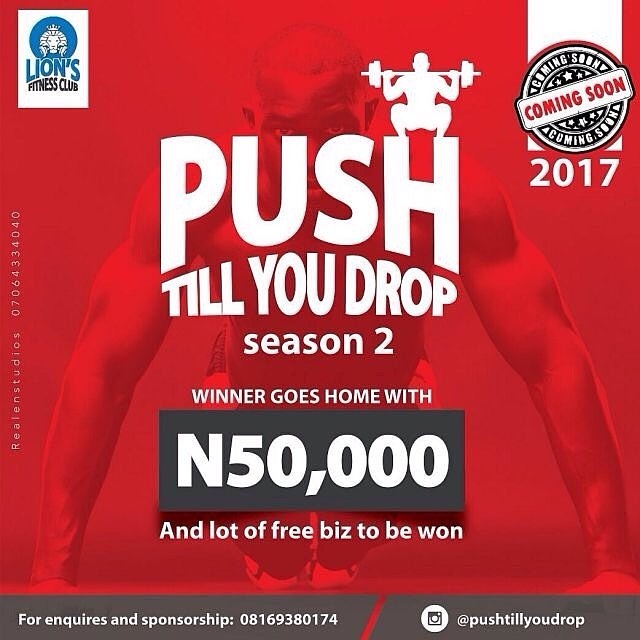 its happening soon in futa: Push Till You Drop Season 2... pics/video. It's the biggest fitness challenge event, full of fun, entertainment, side attractions and what have you. You won't want to miss this coming year pushtillyoudrop event, this year was a hit..., next year would be dope and a lot of free biz in the que for grabs. I promise you it's a 101% awesome event coming up. Would advise you to fall in line so you don't miss out, follow on Instagram below, watch video, grab your own pushtillyoudrop t-shirt and tank top and tag @pushtillyoudrop to get featured... holla.